I hate grey days. Really – hate. They make me feel so…. blurgh. Just one of the reasons I’m looking forward to the move to sunny sunny Perth. I love sun. Today was a grey day. It was what I have come to consider a typical Melbourne day – warm, drab, changeable. Grey. This photo I took on my driveway. It’s kind of a personal reminder. 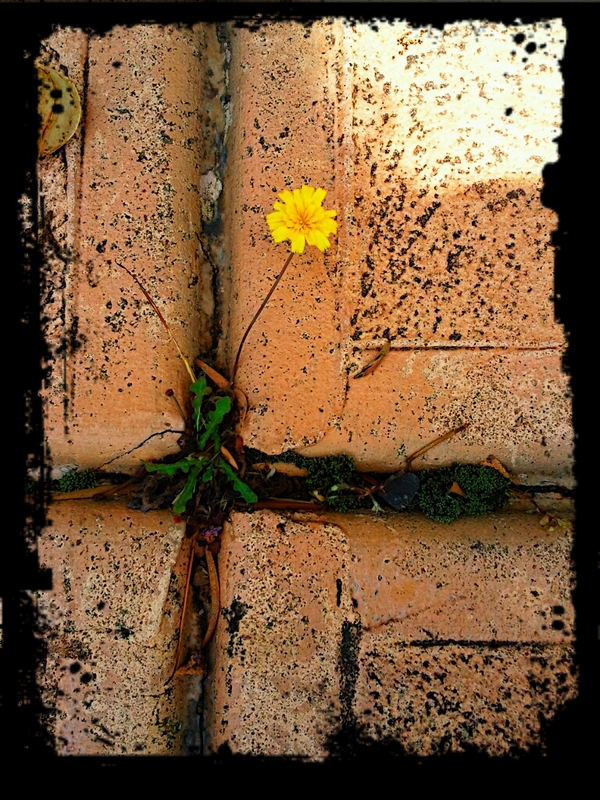 To remind myself that even the smallest flower can grow through the thickest concrete and remain sunny about it. The splash of yellow is so cheery!